For those of us who love both fountain pens and Field Notes pocket notebooks, hope springs eternal that a fountain pen friendly edition will someday appear. In the meantime, I generally don't wander too far in search of Field Notes alternatives with higher quality paper. There is just something intangible about Field Notes that is hard for me to walk away from. 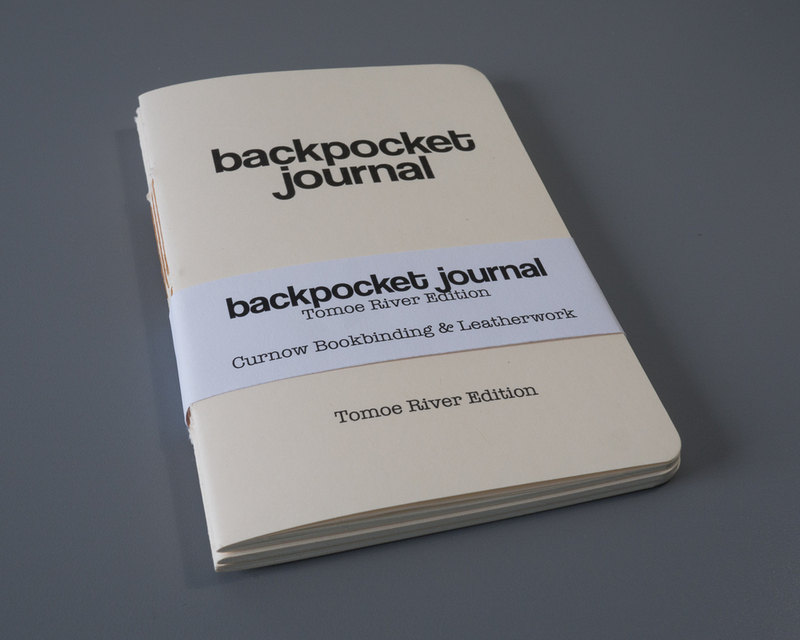 I decided to make an exception for the Backpocket Journal Tomoe River Edition from Curnow Bookbinding and Leatherwork. If you're not familiar with it, Tomoe River paper is legendary among fountain pen enthusiasts for being both impossibly thin and capable of handling fountain pen ink extremely well. It's kind of like magic. Steve Curnow, the craftsman behind Curnow Bookbinding and Leatherwork, offers the Backpocket Journal in a variety of designs for $10.00 per three-pack (plus shipping). For an additional $2.50, you can step up to the Tomoe River special edition. Curnow's purchase process is pretty bare bones. He displays various items in inventory on his Facebook page. From there, you send him an e-mail to order and then complete the transaction via PayPal. The process has kind of a "secret door knock" feel to it, but it was actually pretty efficient. I sent Steve an e-mail at around 7 p.m. Eastern time, he replied within a few hours, and by the time I went to bed I had a shipping notification with tracking number. The personalized purchased experience was completed when the notebooks arrived with a nice handwritten note and old school receipt. 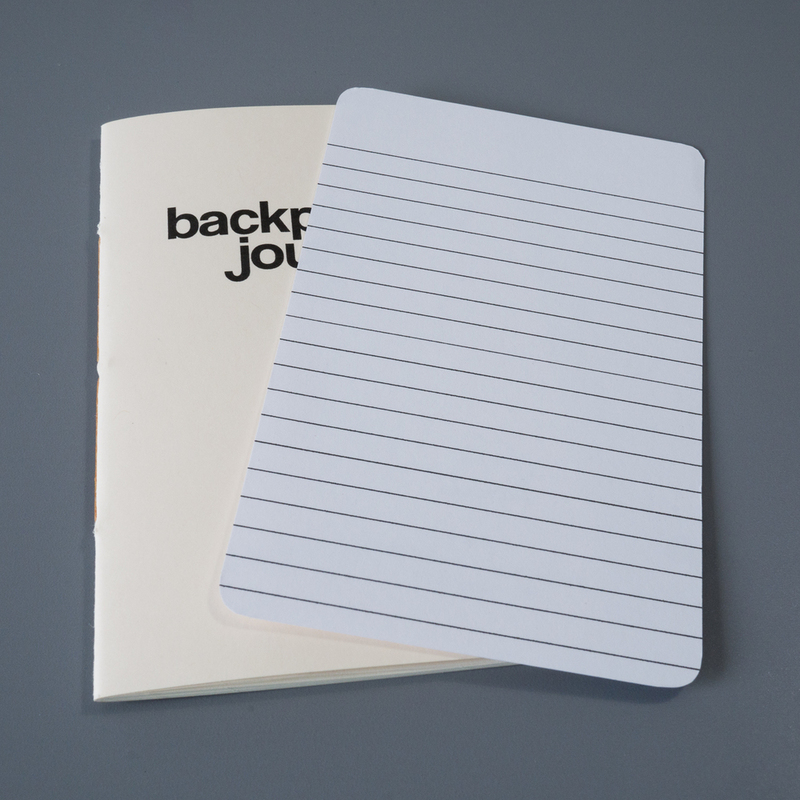 At 3.5 x 5.25 inches, Backpocket Journal notebooks are the same width as Field Notes but a quarter-inch shorter. The Tomoe River Edition only comes with blank pages, which is not my ideal. But the included guide sheet helps me keep my writing relatively straight. 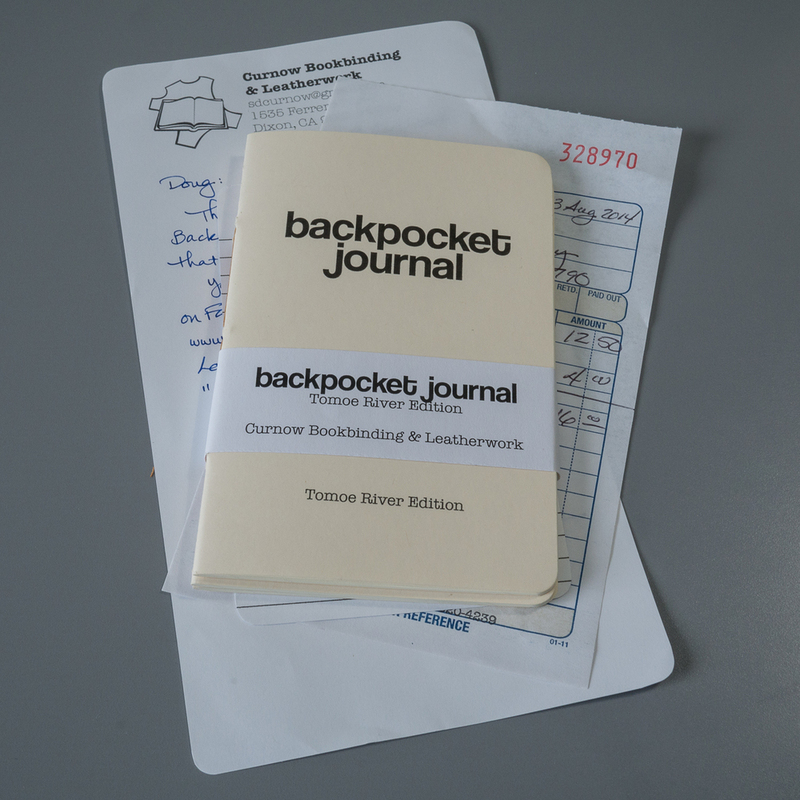 In lieu of the typical staple binding, the Backpocket Journal has a hand-sewn binding. Even at the same 48-page count as a Field Notes book, the combination of the binding, thinner paper, and slightly shorter length makes it feel like a much different book. This isn't to say any aspect is worse. It just has its own identity and feel versus coming across as a Field Notes clone. The Tomoe River paper definitely lives up to the hype. It feels amazing to write on, and I've experienced no feathering or bleed-through with my fountain pens. Because the paper is so thin, there is some show-through. But it's not so much that I find it distracting in any way. I went in expecting drying time to be a potential issue due to the quick hit nature of pocket notebook usage, but it hasn't really been a problem for me. Ink definitely takes longer to dry, but I've found that I just subconsciously slow myself down a bit (in a good way). 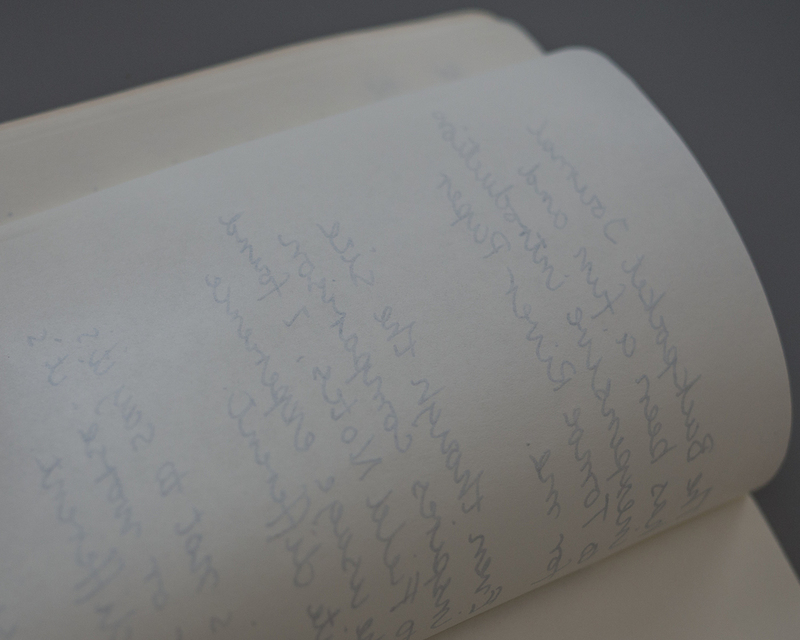 Even though the hand-sewn binding and thinner paper give the notebook a daintier feel than something like Field Notes, it has held up very well to everyday usage. I've been storing it in my DDC Brand Stuff Sheath versus directly in my pocket, but after weeks of usage only a couple of small creases suggest that it's not brand new. The $10 three-pack is the standard for pocket notebooks, and the base edition Backpocket Journal pricing is right in line with that. The step up to $12.50 for premium Tomoe River paper seems more than reasonable. 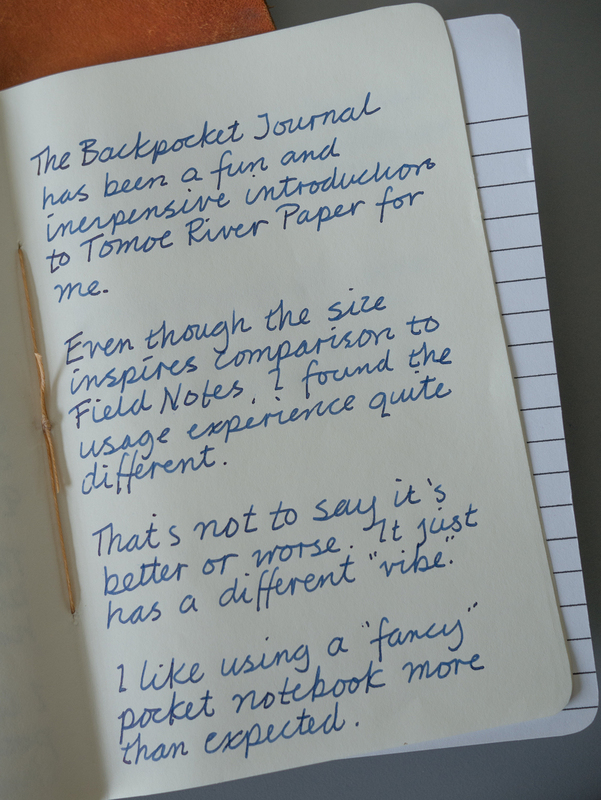 The Backpocket Journal Tomoe River Edition is an excellent option for a fountain pen user who is tired of compromising on pocket notebook paper quality. It's a quality handmade item that delivers a top-notch writing experience. I can't really see it replacing Field Notes in my pocket long term due to both sentimental reasons and the Tomoe River Edition's lack of paper ruling options. But I am enjoying using it, and it is definitely a nice luxury to have such nice paper during those stolen moments on the go when I find myself writing in my pocket notebook.